With that said, we can carry on discussing the benefits of cabinet locks. If you think they are not important since you supervise the children, take a minute to think of the things you have in the house: knives, tools, detergents (and other hazardous substances), medicine, pins, cutlery, scissors, change, pen caps… You certainly need to set a toddler zone. As kids grow older, they start imitating. That's even worse. You cannot limit them, but you cannot stop them from imitating either. Think of the kitchen appliances, the matches you light, the moments you stand at the window taking one second break… Baby locks are meant to change your life. It doesn't mean you don't supervise the kids anymore, but at least you have made some limits as to which parts the kid might have access and which parts should be restricted. Start with furniture locks. Try to get as many hazardous items into wall mounted cabinets where children can hardly reach (yet), but keep them locked, too. 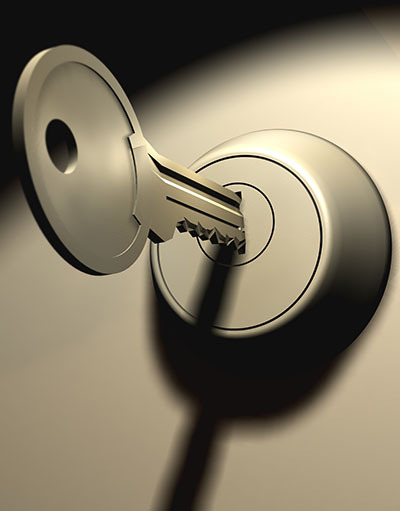 If you cannot lock the appliances, lock the kitchen door (though it's not wise to prohibit them getting into a room – their curiosity will eventually win the odds). It's best to follow quite opposite tactics: leave all internal doors unlocked and open (without keys). Forget about your privacy right now – after all, keep privacy from whom? The one year old? Pay attention to main doors leading to dangerous (for the children) places. Lock the garage and utility room, get file cabinet locks and put stoppers at the windows. Openings – like main or sliding doors and windows – can be very dangerous to children. They climb to windows and can easily step out of the door. Keep them locked and remove the keys. There are sliding security door locks which are put at the top of one side and keep children from walking out. You can put adhesive locks at drawers (for easy lock installation and removal by you). Bars at windows are also helpful and many cabinets can have magnetic locks, which open with magnetic keys. There are many choices out there. The best choice is your needs. So, start from there. How old is your kid? How many things do you have to hide? How dangerous are they? Do you need them often? You need to provide child safety without making your life unbearable.